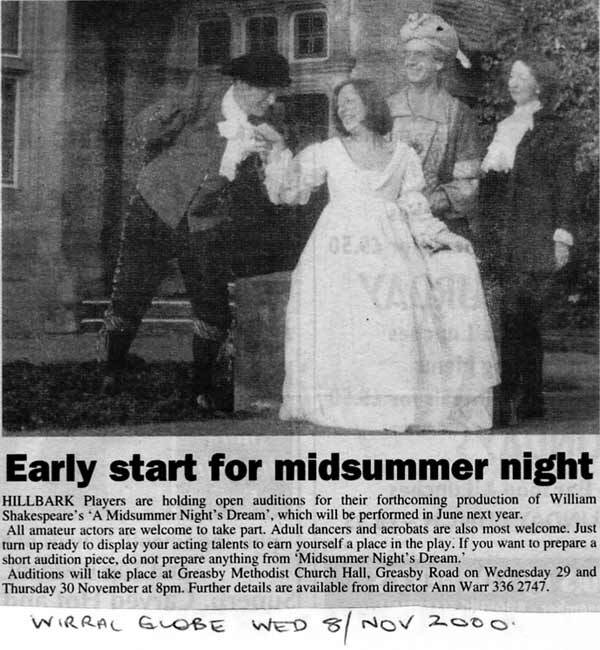 After the 1998 production of 'The Winter's Tale', it was decided to move the productions to the odd years. 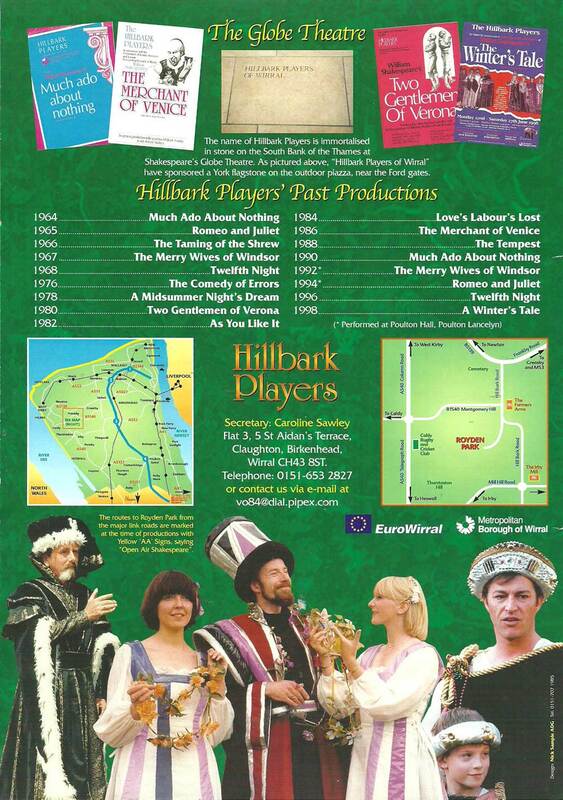 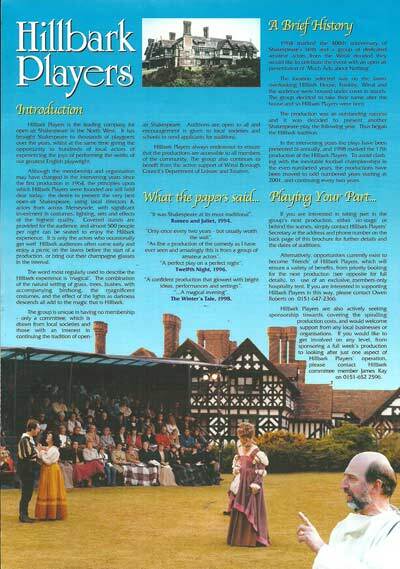 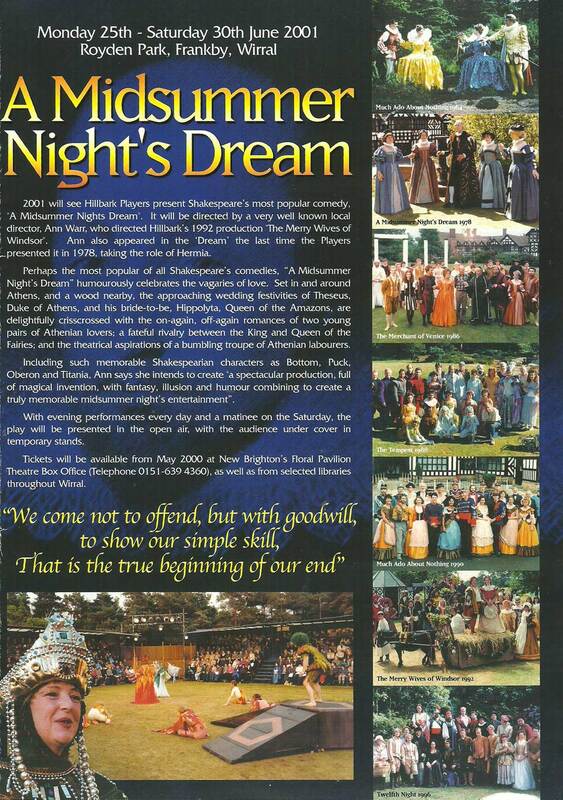 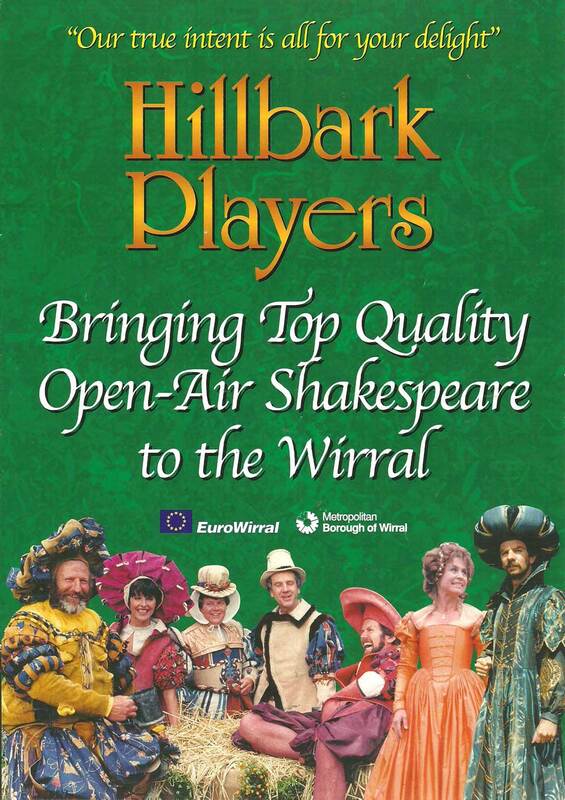 'A Midsummer Night's Dream' was chosen for 2001 and this promotional leaflet was created for the re-launch. It saw its first outing in the Wirral History Fair of November 2000.